Global miner Anglo America (LON:AAL) saw its output climb 5% last year thanks mainly to its diamond and iron ore divisions, though copper production remained flat. 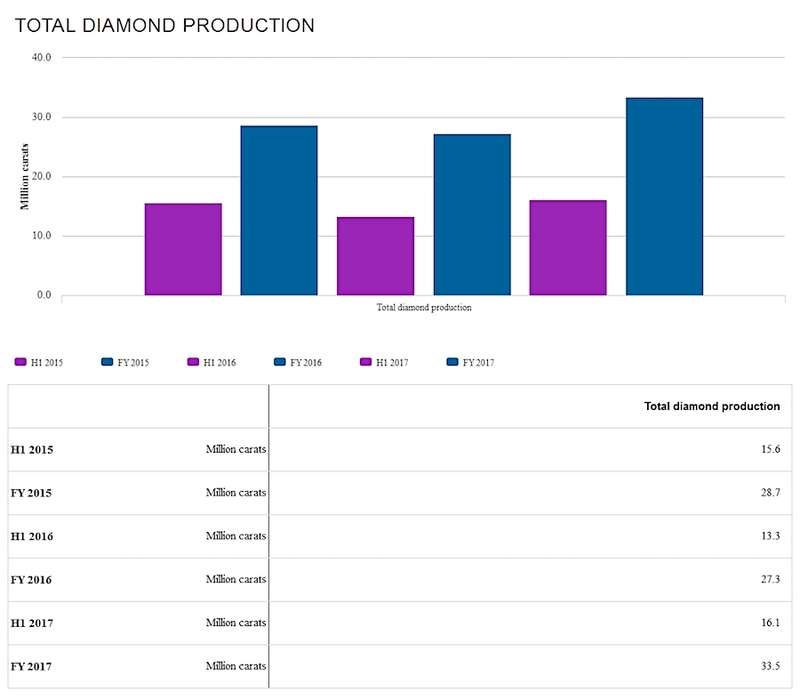 The company said output at its diamond unit, De Beers, climbed 22% compared with the previous year to 33.5 million carats, as its Gahcho Kué mine reached full production. 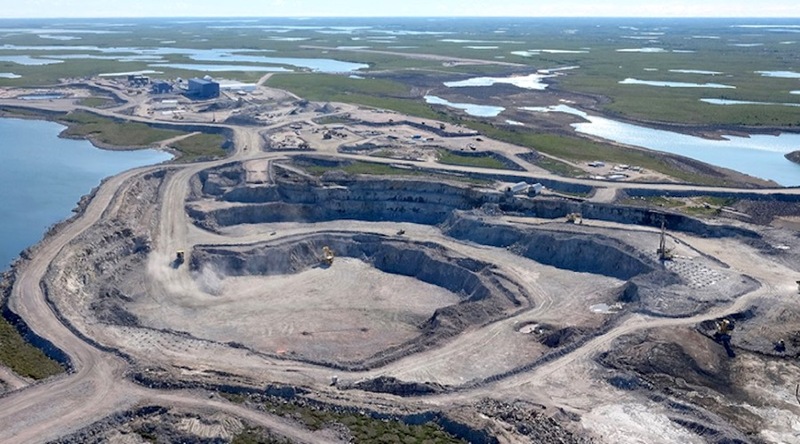 Gahcho Kué, Canada's newest diamond mine and the world’s largest in the last 13 years, is a joint venture between De Beers and Mountain Province Diamonds (TSX:MPVD). It officially opened in September 2016, achieving commercial production last March. "The ramp-up of Gahcho Kué and Grosvenor mines made positive contributions to our production profile in 2017, and a strong performance from Sishen resulted in an eight percent increase in production from Kumba Iron Ore," chief executive Mark Cutifani said in a statement. "The five percent increase for the full year reflects our ongoing focus on productivity and was achieved despite the removal of unprofitable and higher cost platinum and metallurgical coal volumes, consistent with our disciplined, value-led approach to production," he noted. Copper production, however, increased marginally to 148,600 tonnes or 5%, even with Collahuasi mine in northern Chile achieving record production in the year. Anglo’s Platinum and palladium, iron ore and coking coal output fell between 4% and 8% in the fourth quarter and were flat or higher for the full year. On iron ore, the company said its focus remained on getting the necessary licences to kick off a third phase of production at its Minas Rio mine in Brazil. If it cannot get the permits, Anglo has said it will be forced to halt operations in September. For now, Anglo American is in the process selling its South African thermal coal mines — New Vaal, New Denmark and Kriel — to the black-controlled Seriti Resources Holdings Ltd. for about 2.3 billion rand ($166 million), as it focuses on other commodities . The closing of transaction, which is waiting on Eskom’s approval for the transfer of the coal sales agreement from Anglo to Seriti, is imminent, said the company.